One of the most beloved table sports in the world is pool. Since most billiard tables are indoors, it can be played in any weather and under the most casual of conditions to tournament competition. Eight ball, one of the most popular of all billiard games, is played worldwide by millions of people every day. Straight eight ball is a barroom version of the game. The rules, though quite similar to traditional eight ball are not all the same. The first shooter’s actions may determine whether he will pocket solids or stripes. In traditional eight ball the person who breaks may call which balls he wants to shoot at, but in straight eight ball if a ball is pocketed on the break, the variety of that ball will determine the designation. All eight ball is a “called” game, meaning that a shooter must state which ball he intends to pocket, and into which pocket it is to be deposited. In traditional eight ball the shooter does not need to reveal the path that the balls will take to achieve their means, but in straight eight ball, if a ball is to be played off a bank or off another ball, that must be announced by the shooter. Subsequently, if the balls vary from the path indicated, the shot is lost, whether the ball goes in the pocket or not. In straight eight ball a game is lost if the eight ball does not travel the declared path. 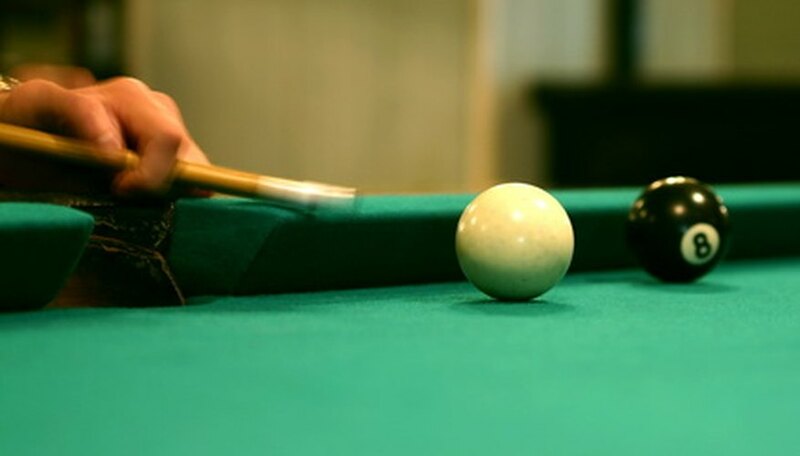 In traditional eight ball, if the cue ball does not hit a side rail or another ball, a foul is called and the opponent may place the cue ball anywhere on the table for his turn (he term for this is “ball in hand”). In straight eight ball there is no such penalty for failing to hit anything other than loss of turn. Similarly, when a player scratches, in straight eight ball the cue ball is always placed above the head string. In eight ball there are ball-in-hand conditions. The World Standardized Eight Ball Rules state that a player can avoid a penalty by calling a "safety" prior to taking a shot when he is aware that he may pocket an additional ball when striking an intended ball. In straight eight ball this is not acknowledged as fair game play. Pool-Billiards-Game: Billiard Rules? Bar Rules, League Rules, Which Rules are Straight Eight?